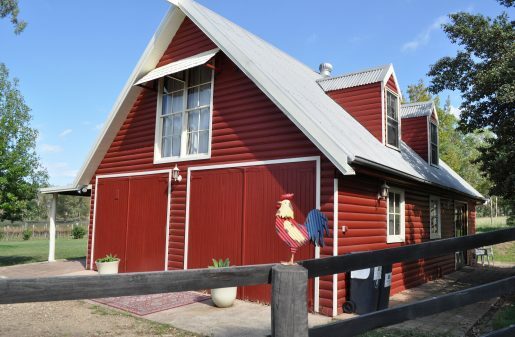 The cozy country feel of this villa for 6 – 10 people is a converted horse stables. 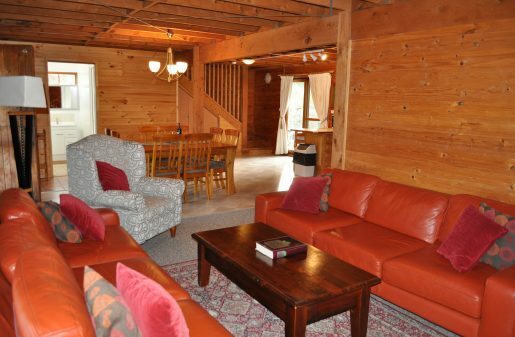 It has a large 2 bedroom open loft with dormer window views of the vineyard and the Brokenback mountain range. 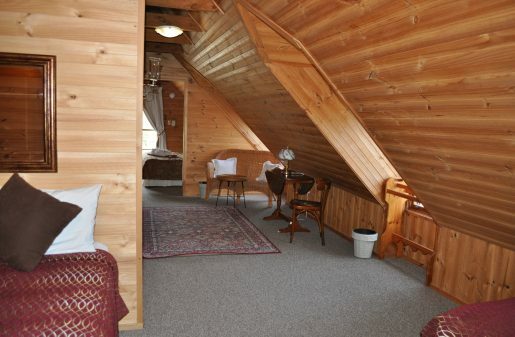 A third private bedroom with Queen bed on the ground floor offers easy access without stairs. 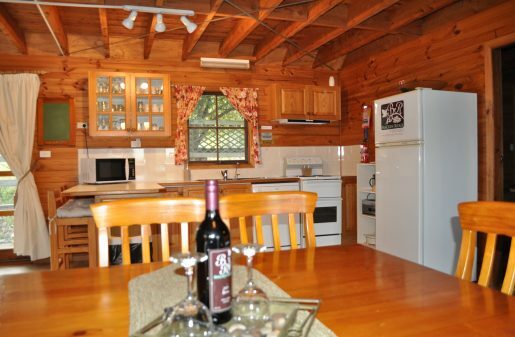 A fully fitted kitchen allows casual dining either at the full sized dining table or outside at the picnic table on the walkout verandah overlooking the estate. A great place for large groups who want the space to be together either inside or out. The stables was inspired by the farmhouses of times past, designed as a converted old horses’ stables. Step back and you can imagine how different a scene this villa would have presented. The two horses, Ole Tom and Onyx would have slept downstairs in the barn part of this house. The bedroom was the tack room, housing the horses’ harnesses, bridles and saddle blankets. Ole Tom used to sleep in the kitchen, with Onyx across the way by the Dutch barn door, which allows the top half to be opened while the bottom half remains bolted shut. The bathroom stored their feed, usually oats, and sometimes corn as a special treat. The stairs led up to what used to be the hayloft, which can hold up to 108 bales. The big double doors at the top allowed hay bales, weighing up to 20 kg, to be put in from the hayracks below. The hay would be used to supplement the horses’ feed when the winter grass was slow growing and the rain made it too miserable to be outside. Today, however, there are no hay bales or horse poo in site! Instead, this fully equipped converted barn offers cosy fittings for a large group of friends or family to enjoy the private vineyard just beyond the front veranda. Sit back, relax, and you may just hear the sound of horse shoes trotting in the distance…. Bed Configuration: 1 Queen Bedroom on ground floor with easy access for limited mobility and wheelchairs. The upstairs loft has a Queen bed on the landing which can convert to 2 Super Singles, Bedroom 2 has a King sized bed which can be converted to 2 Queens and Bedroom 3 is fitted with a Queen and an additional single bed. This villa can sleep 8 on furnished beds and 11 with Trundles. This is a fully fitted villa with large outdoor entertaining area with private BBQ.